An Accounts Manager is needed for a law firm in Liverpool. We are currently recruiting for a Solicitor to join the Dispute Resolution team of a law firm on Merseyside. ACS are recruiting for a Legal Secretary to join the Personal Injury department of a firm of solicitors in Liverpool. We are recruiting for a Paralegal/Legal Executive for the Debt Recovery team of a legal firm in Liverpool. ACS are looking for a Conveyancer for a Merseyside based law firm for a 6 month FTC. ACS are recruiting for a Paralegal for the Corporate and Commercial department of a law firm in Chester. We are recruiting for a Legal Secretary to join the Corporate and Commercial department of a law firm in Chester. 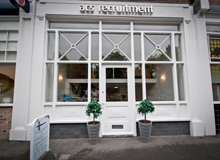 ACS are recruiting for ULR Motor and Property Team File Handler for our clients firm in Cheadle. We are recruiting for a ULR Team Leader (Motor & Property) for our clients firm in Cheadle.